Creating a complex pad shape that includes arcs? The pads are mostly circular with a little bit “cut off” on parallel sides. How should I go about making these pads? Can I import a DXF as a pad shape? Right now, I’m planning on using rectangular pads of the correct size instead. Thanks for any pointers here. You could create a complex pad. But realistically, you would be better off with either ovals or rounded rectangles for this. I fail to see the benefit of the rounded end pads. Overall it looks to me like they want to maximize the pad area (I thing is a good thing). but, the round pads with the sides cut off look like what they used when they designed PCB with actual tape and stick-ons pad arrays… Our company had some really old designs that we wanted to convert to CAD designs. Those designs looked like the recommended foot print your link showed. 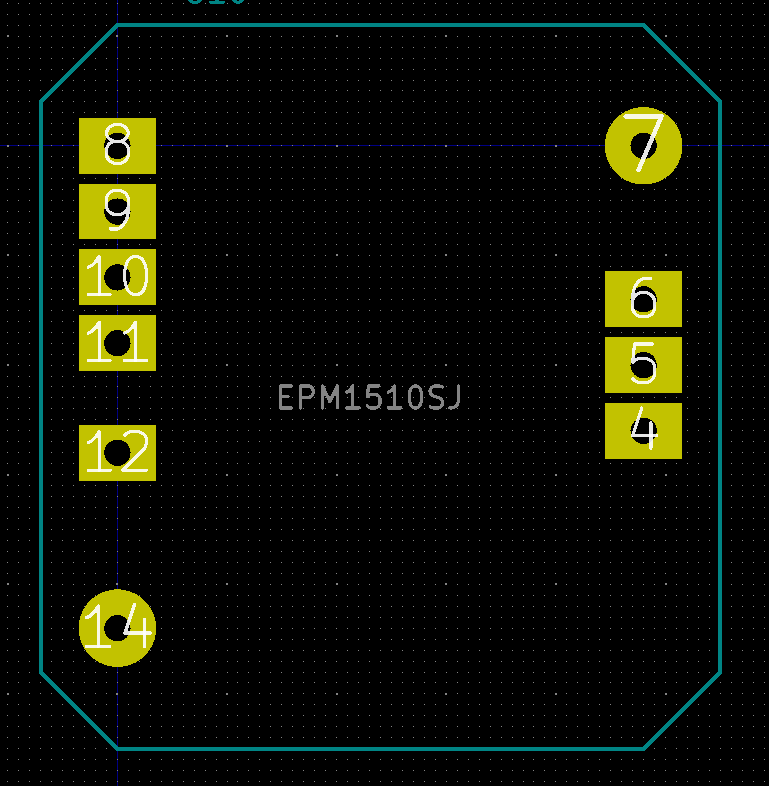 I would use rectangular pads where the pins are close and either round or rectangular for the others. The pads are mostly circular with a little bit “cut off” on parallel sides. How should I go about making these pads? As above, just use rounded rectangles, they will be more than close enough. The clearance between pads looks to be the important detail, and I often make the pads ‘beefier’ than the specs, which here would become longer than that 3.5mm. On very high current parts, with some mass, we also avoid taking current on the non-solder side, if possible. I do not understand why the shape mentioned would need complex pads, and It’s already resolved. 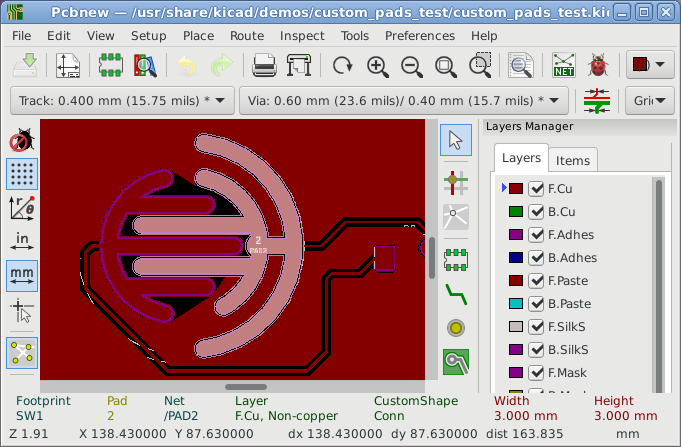 24 days after the text above I accidentally bumped into a simple method to create complex footprint pads in KiCad V5.0.2 as in the screenshot above. You can draw lines, arcs and polygons on any layer, then drag a selection box around it , press Right Mouse Button and select: “Create pad from Seleced Shapes” in the popup menu.